In March of 2015 I competed in my first international stage race: El Reto del Quetzal, a 4-day race across Guatemala. I fell in love with the country's vibrant and chaotic culture, its warm and welcoming people, steep and challenging Mayan trails, lush green mountains, and volcanoes stretching high above the landscape. 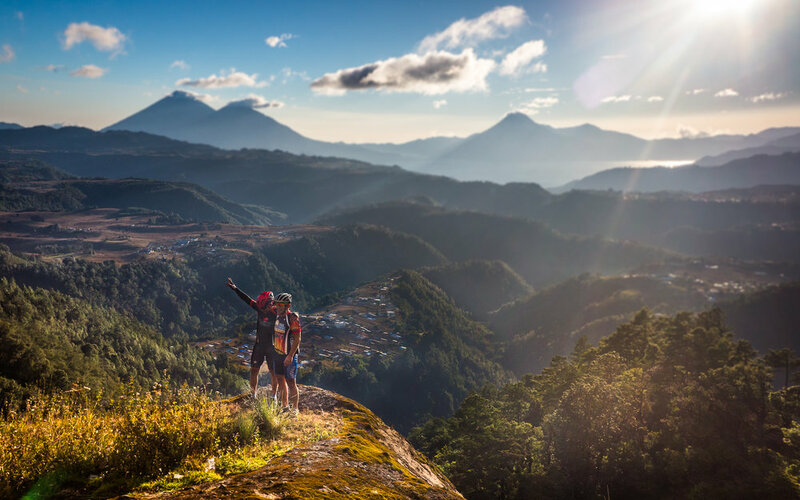 Guatemala is often called "the country of eternal spring." This is accurate -- Guatemala has the best weather in the world. Every day is 70 degrees and sunny, nights are just cool enough for a sweater. In the rainy season the sky opens in a deluge for an hour, then the sun pokes out again and everything smells fresh and renewed. Guatemala is an explosion of color and light. I was so enamored with it that I decided to move there in the fall of 2015. Cody Oats and I lived in a town called Panajachel, on the shores of deep Lago de Atitlan high in the mountains ringed by three volcanoes. We lived there for six months from October through March. I was welcomed into a local group of passionate mountain bikers who called themselves the "Papabikers." I spent the winter following them around on crazy adventures with bikes all around the country. 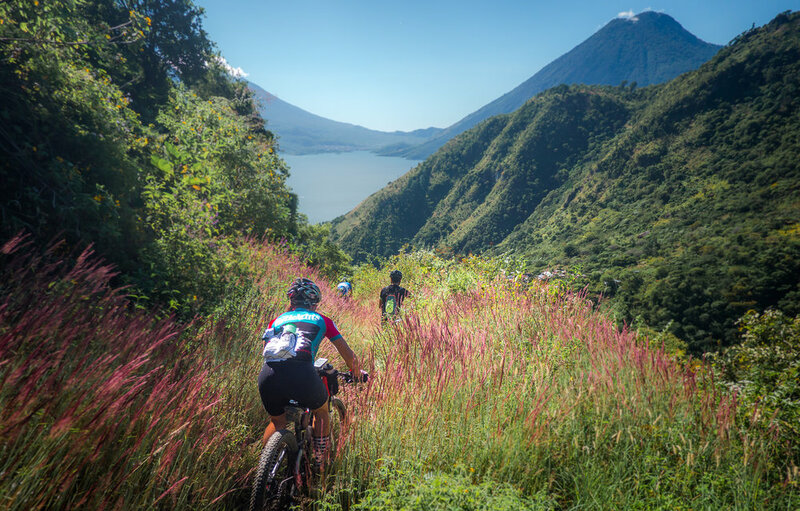 National and international races, travesias (community-organized group rides), and our own excursions to find unknown trails all around Guatemala's mountainous regions and ride mountain bikes where no one had ridden them before. Guatemala stole my heart and became my home, and the Papabikers my community. Living among the traditional Mayan culture, I never once felt unsafe, often riding alone through the countryside and always met with welcoming smiles, conversation, and curiosity. Before moving to Guatemala, I barely spoke any Spanish. A few phrases here and there. Because most of my friends and locals in the community didn't speak much if any English, I had to learn quickly. My Spanish is by no means flawless now, but it is functional and I love interacting in and practicing my adopted language. As I am a nomad at heart, my time in Guatemala eventually came to a close. I left a huge piece of my heart there, and I cannot wait to return to that amazing place -- hopefully very soon.